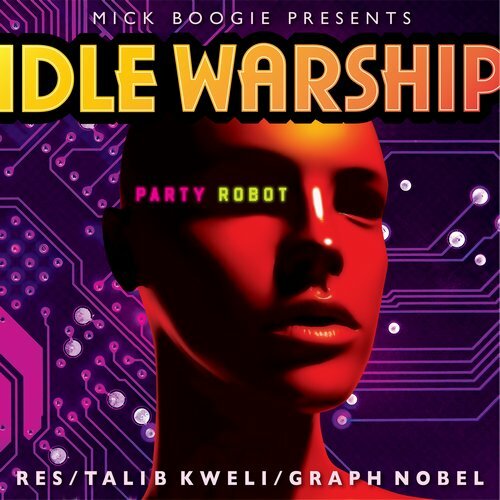 For some reason, I cannot stop listening to the mixtape Party Robots from Idle Warship. I might be a little obsessed. The alternative, futuristic group at the time consisted of rapper Talib Kweli and singers Res and Graph Nobel from Canada. By the way, Idle Warship released their latest album, sans Ms. Nobel, called Habits of the Heart in November. If you like Talib Kweli, you might like my blog, Rhymes and Reasons. It’s a series of interviews with hip-hop heads who discuss their lives in the context of a few songs that matter to them. The interviews tend to focus on issues of justice like racism, sexism, sexual violence, poverty, etc. Please take a look.